The continental breakfast is huge and delicious (3,50 Euros per day per person). Also, a luggage storage is available for free. The living room is decorated with plenty of plants! If you are looking for information about events, attractions, or travel tours in our city: don't worry, we will give you the best tips! The staff will provide you with free maps at the arrival to discover the city and the surroundings of Naples. 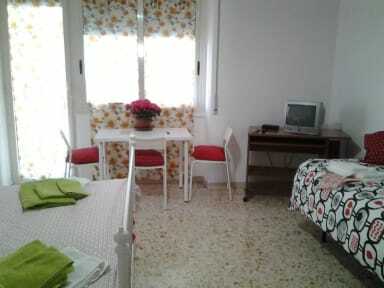 The three bed and breakfast rooms are, bright, spacious and comfortable. The bathroom is shared. 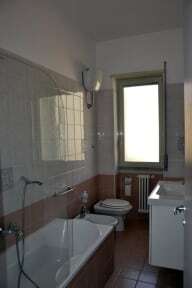 Rooms are cleaned daily and bed linen and towels are included in the price. Two of the bedroom have a large balcony overlooking the historic site. The rooms include: wardrobe, 2 night tables, alarm clock, 2 dining chairs, coffee table, 2 table lamps, 24 inch basic television, heater, cooling Fan. Breakfast not included - 3,50 EUR per person per day. Not suitable for mobility impaired (no facilities available).